Hello, everyone!! Happy Monday! 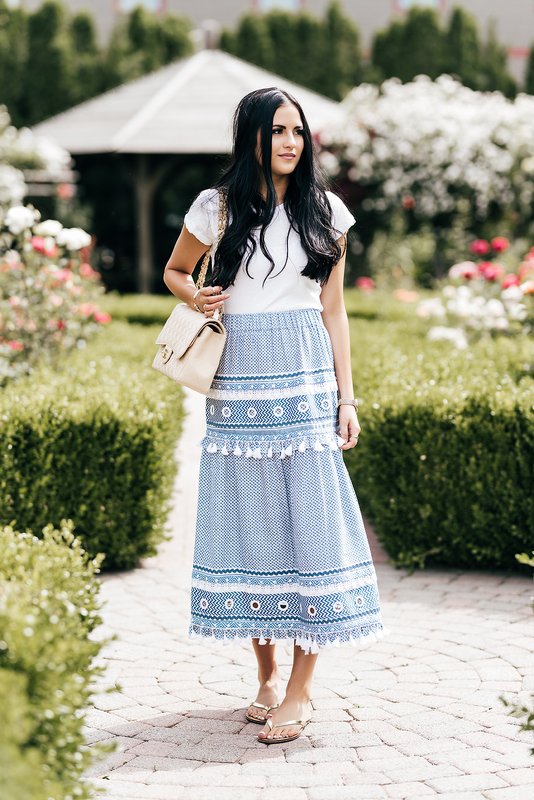 I’m kind of obsessed with this skirt and these sandals right now!!! I wore it for the first time while in NYC and then wore the exact outfit all over again a few days ago. I love how effortless the tee and flip-flops look with it but I’m excited to pair it with heels!! So gorgeous love the skirt ? This skirt is so gorgeous!! I love the style and patterns! This look is so cute! I love that skirt. Love how effortless and feminine this look is! I’d love to see how you dress up the skirt! This is such a fun skirt! I love the colors and the casual style! 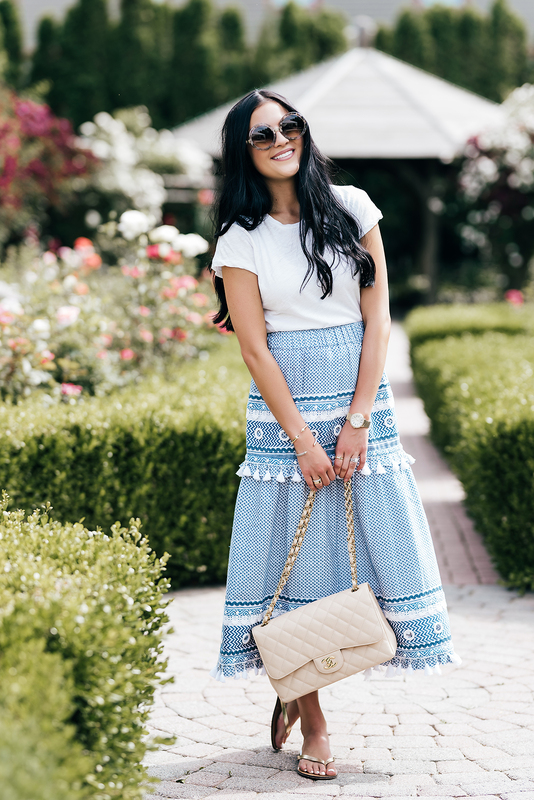 Loving this skirt for summer. So much great texture to it. I agree!! It’s so fun to wear! What a gorgeous skirt! 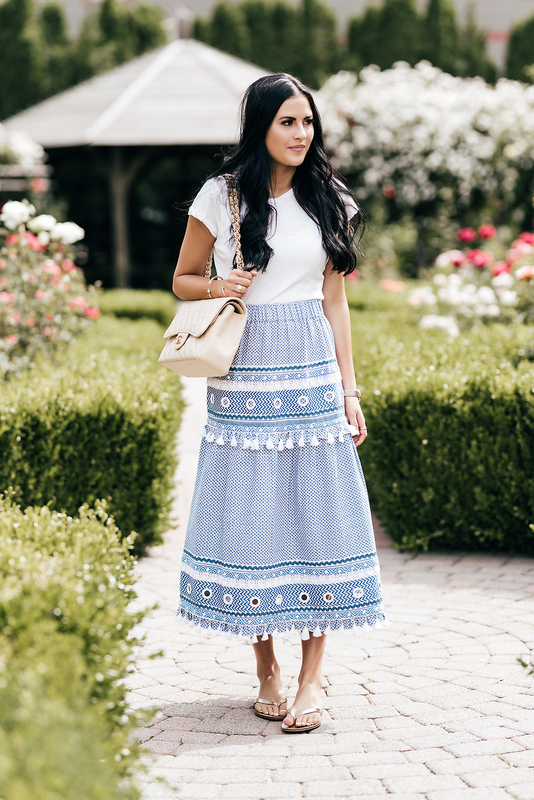 I love the light blue and white combination, which is light and refreshing for summer and the embroidered and eyelet details make it all the more perfect! I also like the fact that the flip flops are gold, which dresses it up a bit more than a basic style. Thanks for the inspiration, beauty, and I hope you have a great week ahead! Oh my goodness that skirt is SO cute!! Great outfit – really love the simple t-shirt! LOVE this skirt! And it’s such a fun length too. Not quite floor length maxi but not quite a midi either. So fun! I love the length too!! Love the details on that pretty skirt!! That skirt is amazing! I’m obsessed! 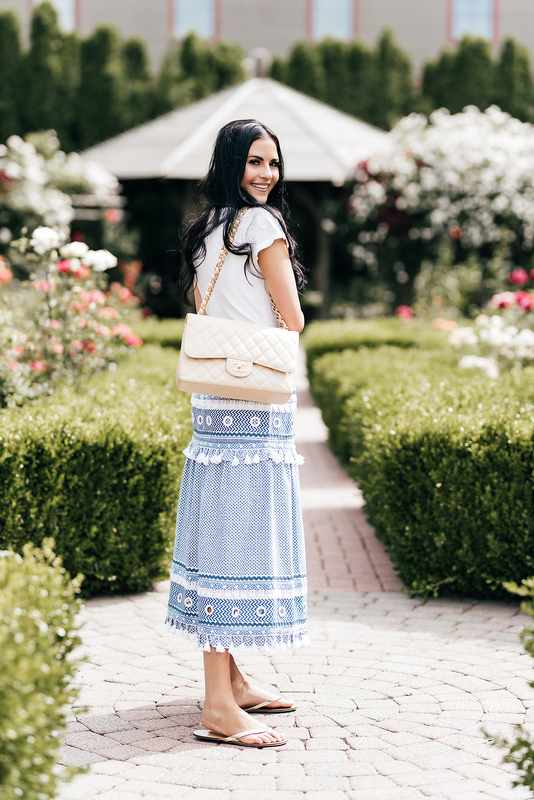 I am loving this skirt.It is so adorable! Looks perfect for summer and styled great. Happy Monday! Ooo this blue skirt is just so fun for summer and parties!! 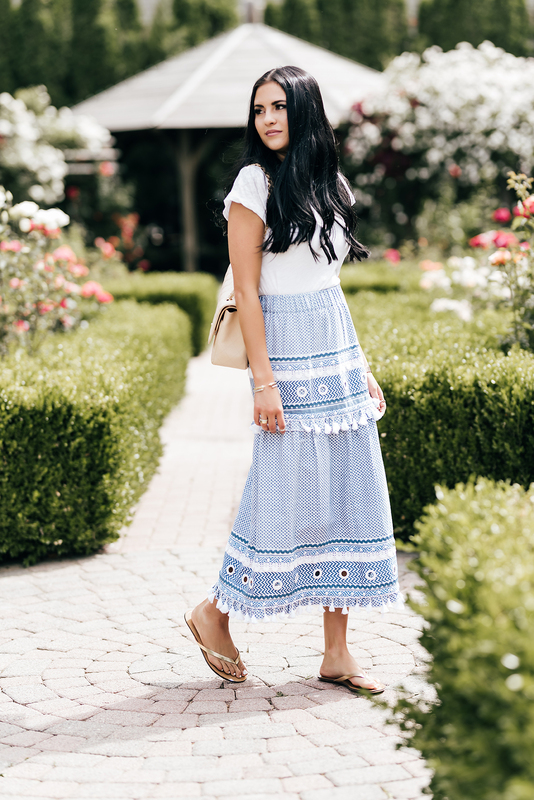 What a fun summer outfit! Love the blue and white! Love this skirt so much! The tee and the flip flops make the look seem so effortless! Love it babe! Very enduring outfit . I love the bag , fabulous. Love the mix of the patterns in this skirt. The fringes are so feminine and dainty. Lovely skirt!